At our recent Legacy Night event, we talked with clients about ways to pass on more than their money. I am a firm believer that estate planning is about more than passing wealth to the next generation. It is also a time to pass on your wisdom – those intangible lessons learned through a lifetime of living and loving. As we move throughout our lives, each of us have experiences that are uniquely ours, and it is up to us to capture and share that wisdom with our spouses, children, grandchildren, and other loved ones. We encourage our clients to share that wisdom by writing “Love & Legacy Letters,” completing their own legacy journal, recording videos, or by using some other tool to record these memories and guidance. 1. 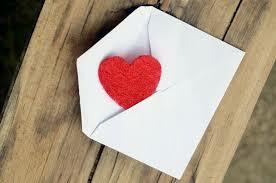 You can write a special card or letter to your spouse, children, or other loved ones. Tell them something specific you love about each of them – a special memory, something that they do that inspires you, something that has made you proud, etc. Share something of your self that you see in that individual or a way they have made you a better person. Consider sharing a story, a memory, or a lesson learned that the person may not know about you. I also encourage you to include words of wisdom about raising kids, managing money, avoiding excess, and to share your hopes and dreams for the recipient of this precious gift. 2. Create a list of your life lessons. Share your successes and share your failures, for these things help shape the way we view the world and live our lives. 3. Complete a memory book. You can find a myriad of inspirational books, prompt books, and journals filled with questions you can answer to capture your story. One of my most valued possessions is book from my Grandma Rose. She completed three copies of the book of memories, and I feel so blessed to have received this special gift from her. In the book, she shared memories of her childhood, her early adult and married life, stories about my mother and her siblings, as well as a few pictures. When she passed away, I made copies of the book and printed them through Shutterfly. I gave these copies to my sisters and a cousin for Christmas one year so that they would have these special memories and thoughts from my grandmother, too. 4. Consider capturing memories and stories of a loved one who has already passed away. These may be stories they shared with you or little sayings or quirks you remember. You can collect these saying from other loved ones, too. One of our clients is planning to do just this in her mother’s memory. You don’t have to wait until your dead to share these gifts with your loved ones – give them now! Use them as a way to open communication, build stronger bonds, and pass your wisdom along with your wealth.